The Switch runs on an NVIDIA Tegra X1, the same chip in the old Google Pixel C tablet and the SHIELD TV. It also has 4GB of RAM and 32GB of storage. While the Tegra chip is underclocked, the Switch is still a powerful little device. 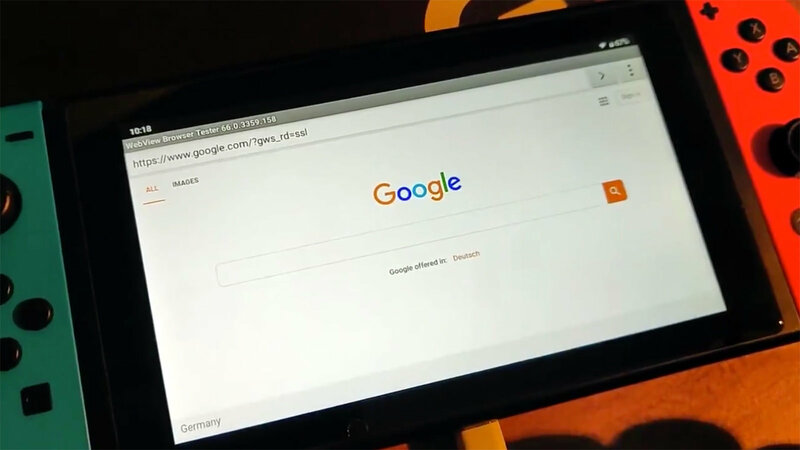 Developers Billy Laws and Max Keller have gotten Android Q up and running on the Switch with support for Bluetooth, WiFi, the touchscreen, and even the Joy-Cons. Eventually, the Switch could become a capable Android-powered gaming machine. There's some overlap in the digital titles available on the Switch and those on Android. However, the Switch versions are usually more expensive. You might be able to get some of the same experiences via Android with the Switch's excellent controllers. Android could also provide a lot more freedom to use apps like browsers and streaming services. Of course, top-tier games like Zelda and Mario Odyssey will remain exclusive to the Switch's shipping software. It's encouraging to see Android running so ably on the Switch, but it's still a long way from being something you'll want to slap on your console. Android Q isn't even in developer preview itself—everything you've seen so far comes from pre-release images. Android on the Switch also lacks GPU acceleration currently (there are no drivers), so you won't be playing any games. Still, this is a project to watch.